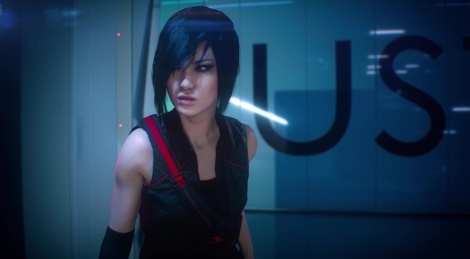 Electronic Arts granted us another high quality video, the first gameplay trailer of Mirror's Edge: Catalyst. Five minutes of pre-alpha footage (from a cut-down version of a mission) to enjoy at a high bitrate. The game will launch on February 23, 2016. Daaaamn....I will not have time to play all these cool games. 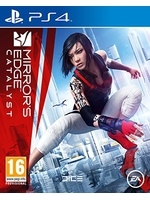 Loved the original Mirror's Edge and this looks like it's gonna be waaaay better. This footage rips apart a lot of games in existence. of course though it's taken from the PC build. The Division would have blown this apart hadn't they stayed throughout the years the same. All of the textures, characters, colors, light sources, and blooms look amazing. If they could sustain this level all the way to February 23, 2016 (7 months away) i'd say they nailed a pretty high bar. Absolutely stunning. I was extremely impressed. Some things do look a bit "flat" and undefiened, but I strongly suspect it is the banding from video compression and the chroma subsampling, it should look fantastic when playing. The voice acting is terrible but everything else is excellent. I didn't think I'd be into a new Mirrors Edge, but this looks excellent. Original Mirror's Edge is one of the best looking games out there, it's still looks awesome. No wonder that its new iteration is also has stunning visuals. Definitely, the shopping district to this day was amazing. so believable it was. She's not Asian anymore it seems. From the accent to the looks... sigh .... I hate when the publisher does this. Uh, she definitely looks Asian. And what does accent have to do with race, that's more to do with upbringing. Anyways, didn't play the first mirror's edge past the demo. Nice-looking, but that yellow thingy ruins atmosphere. As if it were cheap virtual reality program. What's it for?? Please No! Make me believe that this world is real. she's definitely Asian, they've just made her more "conventionally beautiful"
They should have her read her lines whilst she's running on the spot, or exhausted...bit weird hearing her effortlessly deliver them whilst bouncing off walls. She's mestizo. European and Asian.